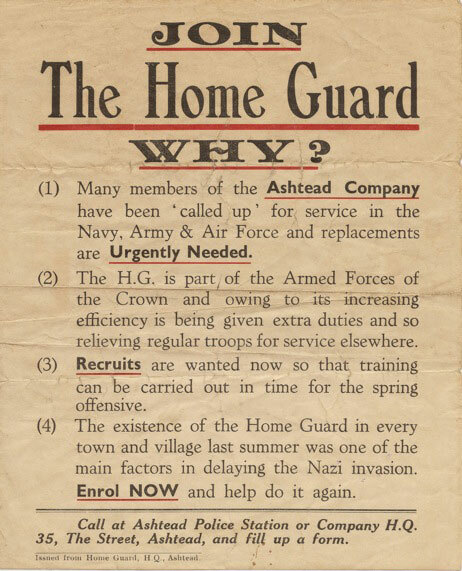 I enclose some old photos and an old Home Guard recruiting poster my Grandfather - Major L J B Aitkens MC Commanded A Coy 6th (Leatherhead Battalion) Surrey Home Guard and would I am sure if he were alive today, be pleased to see it being put to good use. 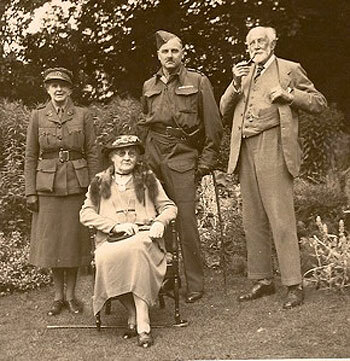 He would also have been extremely pleased and proud to have seen the Home Guard article in Regimental Newsletter. Something to which he would have given his wholehearted praise and admiration. During the First World War Grand Father served in the Canadian Field Artillery and was awarded the Military Cross. Company HQ was based around his house. Part I Orders were written in chalk inside the Garage/stable. There was a "Molotov Cocktail" factory over the wall by the greenhouse. An Anderson shelter in the garden, a Morrison shelter in the hall and he ran his business from the cellar with a phone line down through a hatch in the sitting room. Grandmother was also very much involved. She had been an ambulance driver in WWI and during WWII she drove a signals truck. 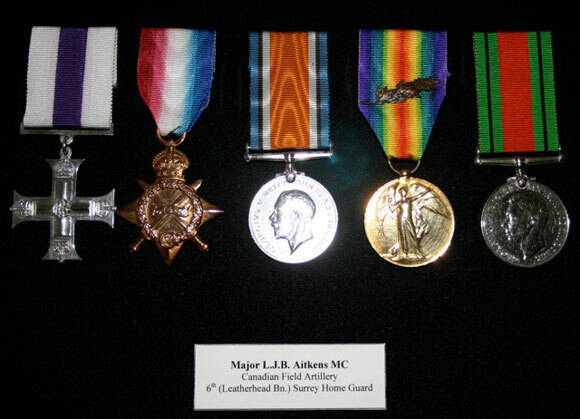 Medals of Major LJB Aitkens MC. 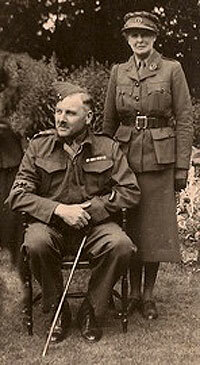 Major LJB Aitkens and wife. stood an earthly of winning the war.